Great Guns Director, Tal Zagreba, tells the story of explosive heartbreak and escapism in a half-live action, half-animated road trip for Volvo. This cinematic piece of branded content also acts as a music video for ‘Call My Name’ by The Goldman Brothers. The film features McMafia’s Yuval Scharf, one of Israel’s biggest stars, behind the wheel of a Volvo V40. As she drives, her fantasy of leaving her partner in the dust begins to materialise in clever flickbook-style animation. Her animated partner gradually develops into a full cartoon and, as the explosive story unfolds, the narrative uses the vehicle as a literal and metaphorical means for telling the story. Great Guns’ Zagreba worked closely with producer Lior Miller, animation director Robert Moreno and car manufacturer Volvo on the film. 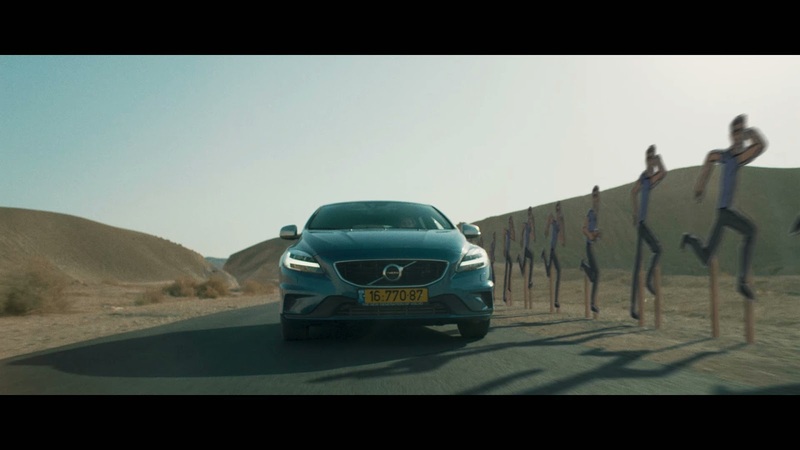 Volvo will distribute ‘Call My Name’ through their global digital media, music and social channels from Thursday 11th January.